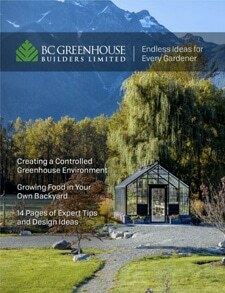 A 5-Step Plan for Sensible Greenhouse Growing this Year | BC Greenhouse Builders Ltd. I am eating a lot of Kale and Bok Choi from my cool greenhouse right now. The winter-sown spinach is suddenly starting to explode as the days get longer too. There are still a few beets and carrots in the greenhouse and the season of overlapping crops is about to begin. This is the normal life with a greenhouse growing. But I still remember what happened two years ago. That’s when I ordered a thousand dollars worth of seed from various suppliers and who knew? It was just too much for a single home gardener even with a large backyard greenhouse. I know the most important thing I can do right now is to make a plan and use up the extra seed I stockpiled. I read somewhere that “If you fail to plan, you plan to fail.” This is true for gardeners and especially greenhouse gardeners at this time of year when we want every flower and vegetable we see advertised. The common sense button in our brain is switched off as the catalogues and seeds pile up. I still feel the gag reflex when I think of the collards I grew four years ago. Eventually I just dug them up, composted them and moved on. I bought collards because they are so good for you – health-wise. But before you plant anything, I suggest interviewing your family and making a list of the foods you love to eat before you buy seed. If you love it, commit to grow it. It takes me four months to grow a cauliflower. I start them in my home in February and plant them in the cool greenhouse in March and harvest them in June. I start a second crop in the greenhouse in March for planting both inside and outside in April. Last year I planted a third crop of greenhouse Cauliflower on June 22. They were ready in November but I harvested them until January. I have a propagation table where I put a heat mat for rooting cuttings and germinating seeds. Once the seedlings are up, I transplant them into trays. I move the freshly transplanted trays to wire shelves inside my greenhouse so I can grow flats of flowers and vegetables in the protection of my greenhouse while the weather outside is still unpredictable. I also install screws with eye-holes for hanging my strawberry planters and flower-baskets so berries and blooms can move from their trays on shelves to baskets and planters. Finally, I move permanent greenhouse seedlings like tomatoes, peppers and cauliflower into raised soil beds inside my greenhouse from trays to ground at least a month earlier than I plant outside. I ordered China Blue Asters to attract bees and bring charm to the outdoor area. I also ordered nasturtiums from Renee’s seeds because they offer 15 strains of this hummingbird favorite. These flowers will get their start on the propagation bed then moved to the wire shelves in the greenhouse. They will finally move outside after danger of frost is past. To find out the last frost free date in your area by postal code go to https://www.almanac.com/gardening/frostdates. Plan to start outdoor flowers like asters and nasturtiums 4-6 weeks before your last frost date. If you plan to grow the entire crop from start to finish in the greenhouse, forget the outdoor frost dates. I start Tomatoes by mid-February and peppers by early March for growing in the ground in my greenhouse. Cucumbers crave heat but I am not keen to warm the whole greenhouse while I’m still eating my cold-hardy greens like arugula, spinach, bok choi and mustard greens. If hardy greens overheat they burst into bloom and the harvest ends. So for me, it makes sense to keep the greenhouse cool while I warm the soil or seed areas. I lay heating cables on ground beds in February as soon as I finish picking the first patch of hardy greens. I plant an early crop of potatoes in fabric grow bags over the heated soil. I then cover them with frost cloth because I want to keep the greenhouse cool as long as possible. The fabric frost cloth, also called floating row cover, holds in heat and gives frost protection to my tender potatoes. By late March the potato bags are moved to the floor in the greenhouse aisles while I transplanted cucumbers into the warmed soil. As the overhead heat is started, the cold crops finish and I start to cater to the warm crops like pepper, tomato and cucumber. I don’t assign a bed to the quick growing crops. Instead I sprinkle them between huskier plants that are spaced further because of their ultimate size. Cauliflower, as mentioned, grows in cool air but ideally needs an ultimate spacing of 4 feet (1.25 metres) between plants. That leaves a lot of empty space early in the grow cycle. Tomatoes and cucumbers also need a good 3 feet each (1 metre) later in the season but in March and into April and May there is also room to scatter quick growing crops. Experiment, play and have fun. Gardening is a hobby and greenhouse growing lets you enjoy your hobby all year long!